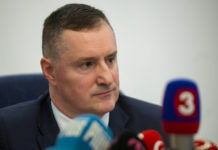 Bratislava, March 29 (TASR) – Prosecutor-General Jaromir Ciznar stated at a press conference on Friday that First Deputy Prosecutor-General Peter Sufliarsky will step down from his post as of April 1. „I’ll decide on his inclusion [probably a reference to his future at the PG’s Office – ed. note] and the communications [with entrepreneur Marian K.] as such will be provided to an ethics commission, which will decide whether the ethics code has been violated or if disciplinary misconduct took place,“ he stated, adding that he’ll decide subsequently. Ciznar asked the public to not pressure him. At the same time he expressed appreciation for the fact that after a conversation with Sufliarsky the two came to the conclusion that it would best if Sufliarsky stepped down himself and willingly. 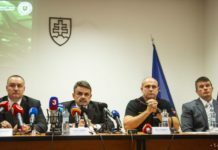 Ciznar also stated that OLaNO chair Igor Matovic, who has published some parts of the communications between Marian K. and Sufliarsky, was lying at his press conference. According to Ciznar, Matovic has been sending SMSs to him with ultimatums regarding Sufliarsky’s dismissal. The prosecutor-general views this as blackmail. „No one is going to dictate conditions to me here,“ he said. 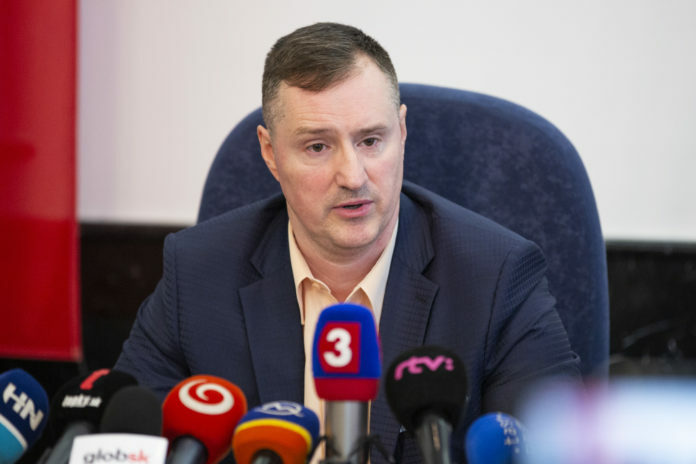 At his press conference, Matovic said that a certain person had sent him SMSs pressuring him not to publish the communications between Sufliarsky and Marian K.. Anton Zeleznik of the PG’s Office has admitted that it was he who sent the SMSs to Matovic. Zeleznik claims that Matovic deliberately ripped these SMSs out of context and manipulated facts. „No one blackmailed Matovic,“ added Ciznar.